Our canyonlands adventure begins in the red rock country of St. George, Utah. This evening we meet for an informal welcome dinner at one of the local restaurants. Our Expedition Leader offers a brief orientation to the history, wildlife and ecology of the Colorado Plateau, which we'll explore in depth in the days to come. Bryce Canyon’s magical landscape offers a portal to another world. Its pink pinnacles, limestone formations and natural amphitheaters capture the imagination with endless geological surprises. Red rock walls create deep channels while whimsical hoodoos, rock spires carved eons ago by erosion, rise hundreds of feet into the sky. As we traverse the landscape in our specialty North American Safari Trucks with double-wide pop-top roof hatches, Bryce Canyon's arresting sights offer wonderful opportunities for photography; capture a stunning array of colors as the light reflects off of the canyon’s rock formations, natural bridges, cliffs and waterfalls. Rising early to watch the sunrise or lingering over a radiant sunset, experience the grandeur of this astounding landscape. We'll also take in the scenic drama during a 30-minute helicopter flight, allowing for an unusual aerial perspective on the colorful sandstone hoodoos. We stay at Bryce Canyon Lodge, a classic national park hotel set amid ponderosa pines on the canyon rim. The lodge is one of few places to stay inside the park and is on the National Register of Historic Places. Restored to its original 1920s splendor, it is replete with Old West atmosphere right down to replicas of vintage hickory furniture. 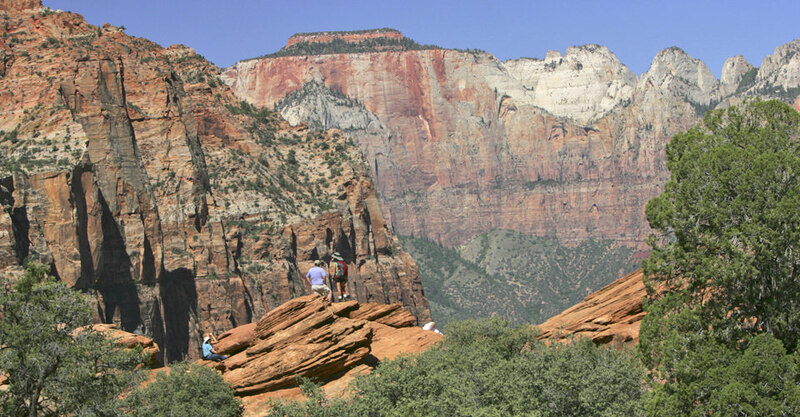 Early Mormon pioneers gave Zion its name—so stunning was its beauty that it evoked images of the biblical Promised Land. 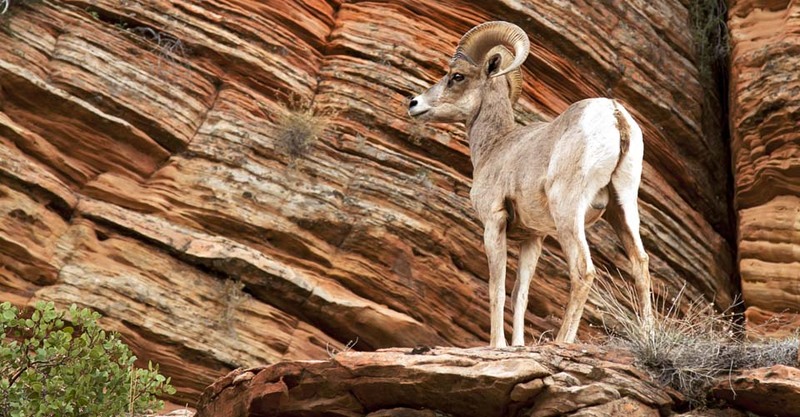 The U.S. government agreed and made it a national park. Multi-hued sandstone cliffs rise above the valley floor where the Virgin River flows among the cottonwoods, carving a deep canyon over millennia. Trails along the river and rock walls lead to quiet recesses, where we may hear and see many birds unique to the American West. Listen for the haunting cry of canyon wrens, look to the skies overhead for golden eagles and prairie falcons, and find American dippers and phoebes in the willows along the riverbanks. The Grand Canyon is one of America’s most iconic national parks. Its fame exists for good reason, and no western adventurer should miss gazing into its mile-deep chasm in the ethereal light of sunset. Its popularity can mean many visitors, too, so we try to avoid the crowds by traveling to the less-visited but no less spectacular North Rim. 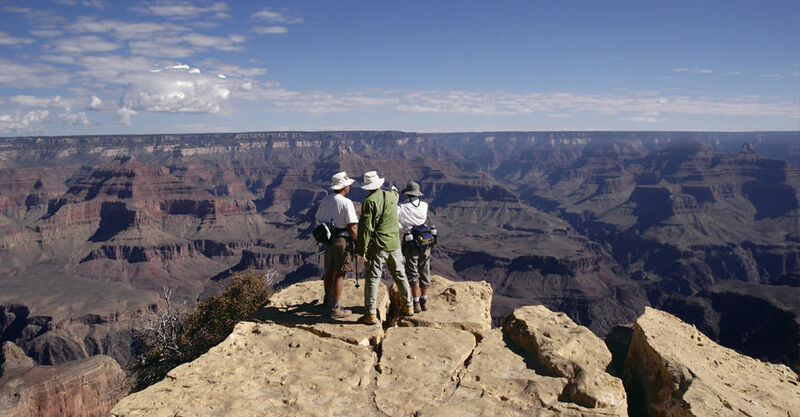 We have plenty of time to explore, walk along the rim, and absorb the drama of one of the earth’s most spectacular natural landscapes, watching it change as the light shifts throughout the day. We stay near the rim in the pine forest at the venerable Grand Canyon Lodge. 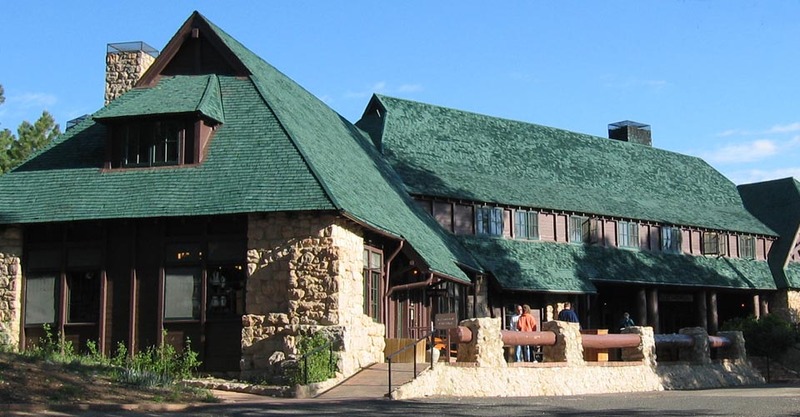 A classic national park hotel, its limestone walls and heavy timbers complement the rustic beauty of the North Rim. For those who are interested, a favorite traveler’s adventure is available: an optional mule ride into the canyon. Though we bid farewell today to the red-rock wonders of America’s canyon country, we’ve left a piece of our hearts behind. Our Grand Canyon adventure tour concludes as we arrive back in St. George for our afternoon flights home (1:30 pm or later). Please note: This itinerary is subject to change, as departures may visit Grand Canyon, Zion and Bryce in a different order than what is outlined above. Your precise itinerary will be communicated to you once your trip dates are confirmed.